These VIPs were treated to a fun evening at Chase Field! 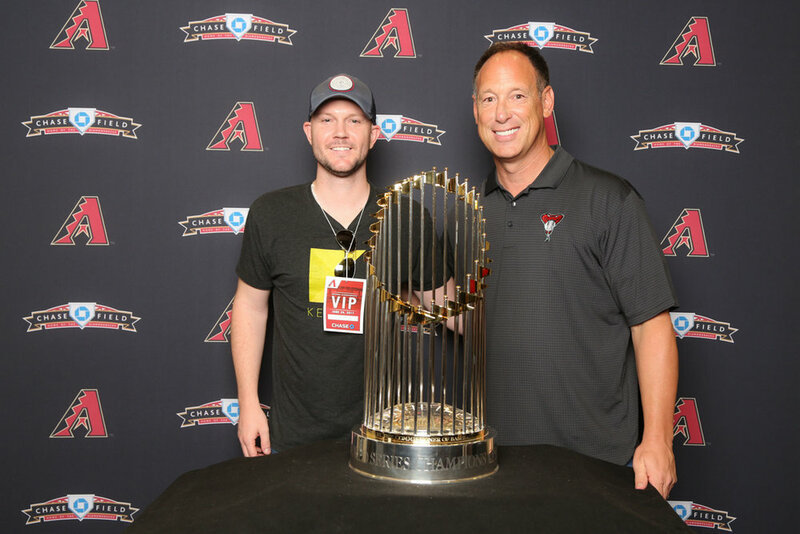 The Arizona Diamondbacks and Chase had a client appreciation event this summer at the stadium. 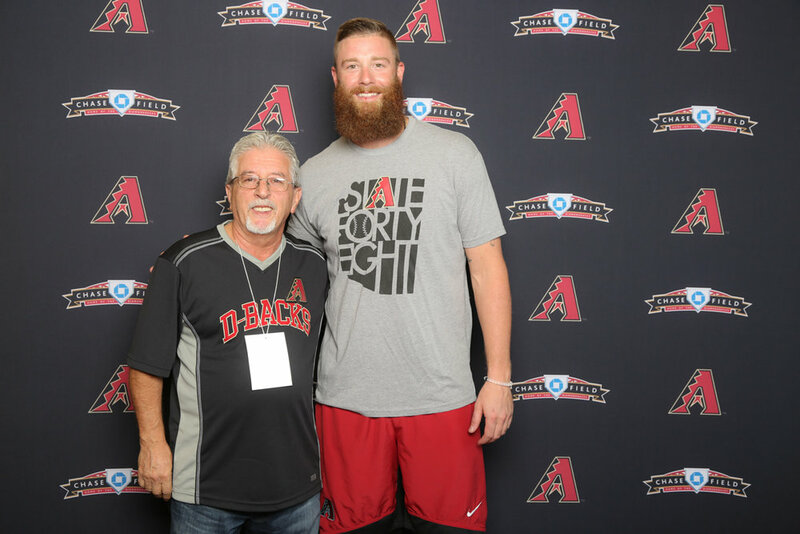 The step & repeat was so much fun, a present Dback player and of course one of the most famous Dback veterans - who wouldn't want their photo taken with these two??? 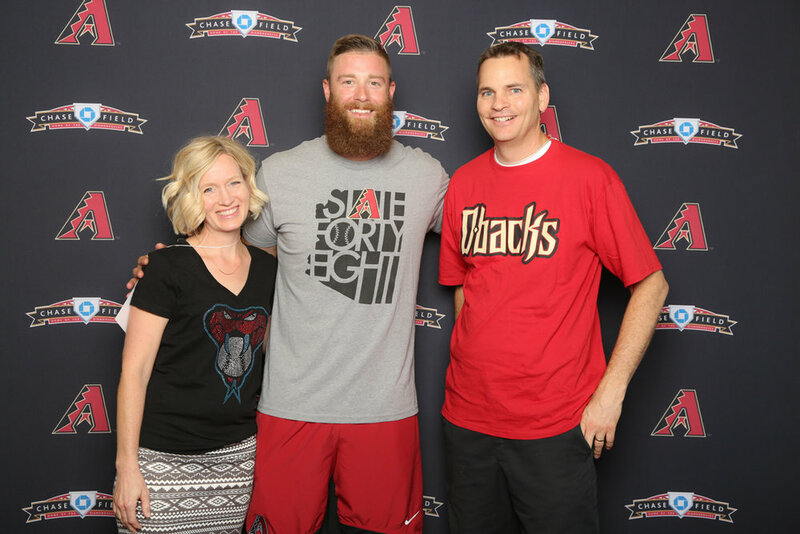 Archie Bradley stopped by to take photos before the game started. 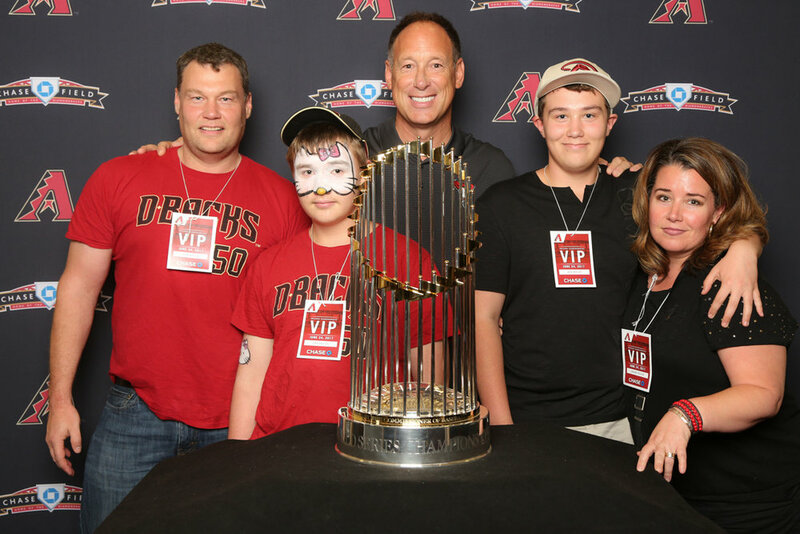 Later on in the evening, Luis Gonzalez stopped by with the World Series Trophy! Nice!!! One of the happiest days of my life as a long time Red Sox fan was when the Dbacks beat the Yankees!!! !